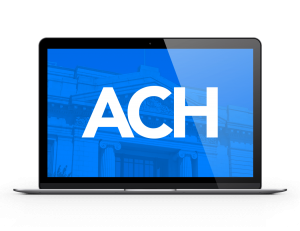 When it comes to strategizing an ACH marketing campaign to sell business loans, it often becomes difficult to find prospective clients. Those working in the merchant cash industry are well aware how difficult it is to find potential clients and sell MCAs. Thankfully, highly-targeted lists such as ACH leads exist to help you reach target customers efficiently. ACH leads contain important information such as name, company name, contact details including phone number, address, etc. of the businesses that can be your target customers. The businesses listed are those who have previously applied for a business loan and are expected to seek merchant cash in the near future. As a MCA provider, your job becomes a little easier. The leads are quite familiar with the business loan process and the beneficial features associated with it so you don’t need to re-educate them. Before you plan ACH marketing to sell merchant cash, it is important to get in touch with a reliable lead generation service like ours to get high-quality business loan leads. At Merchant Financing Leads, we excel in providing fresh qualified ACH lists that help you recognize who your target customers are and what kind of strategies you need to use when planning merchant cash marketing. We are a team of knowledgeable and experienced marketing professionals who understand what it takes to succeed in this competitive environment. Our professional staff strives to provide up-to-date qualified ACH leads that allow you to reach target prospects efficiently. All our ACH leads are regularly refreshed to provide you with the most updated lists. Another significant benefit of getting business loan leads from us is the accuracy of the data. All of our leads are phone verified and we guarantee up to 93 percent accuracy of our lists. To help you in launching a perfect ACH marketing campaign, our staff members are available over the phone and by email: you can choose whichever method is most convenient to you. Studies reveal that merchant cash advances are the booming industry of the decade. Due to the beneficial features, more and more businesses are opting for this alternative financing. Now is the time to market your business effectively to attract customers and increase your ROI. Getting our fresh and qualified ACH leads is an ideal way to launch a strategic merchant cash marketing campaign and sell more business loans. Previous Previous post: Four Reasons to Opt for a Strategic MCA Lead Generation Service!